STARKVILLE, Miss. -- A tent for camping in the woods can be a good thing, but a tent filled with caterpillars in a pecan tree can be bad news for homeowners. 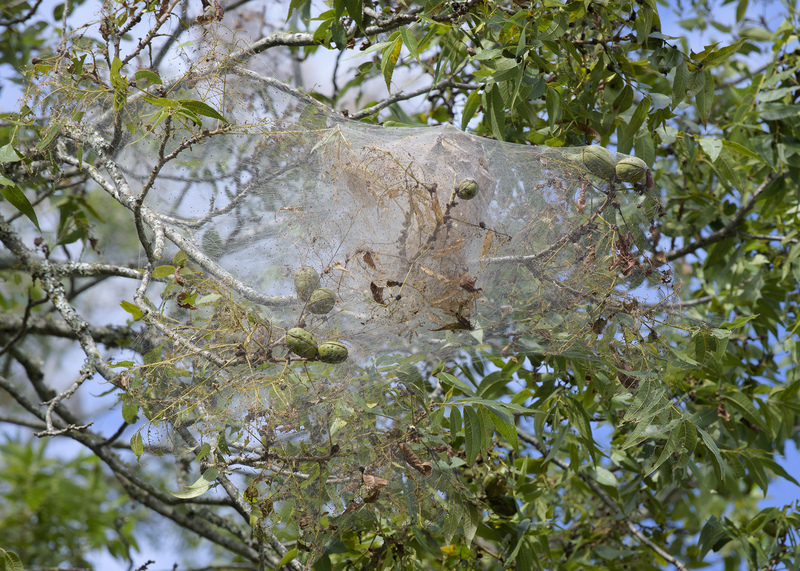 Fall webworms are having a big year across Mississippi, with higher than normal numbers of the caterpillars being seen in pecan trees. 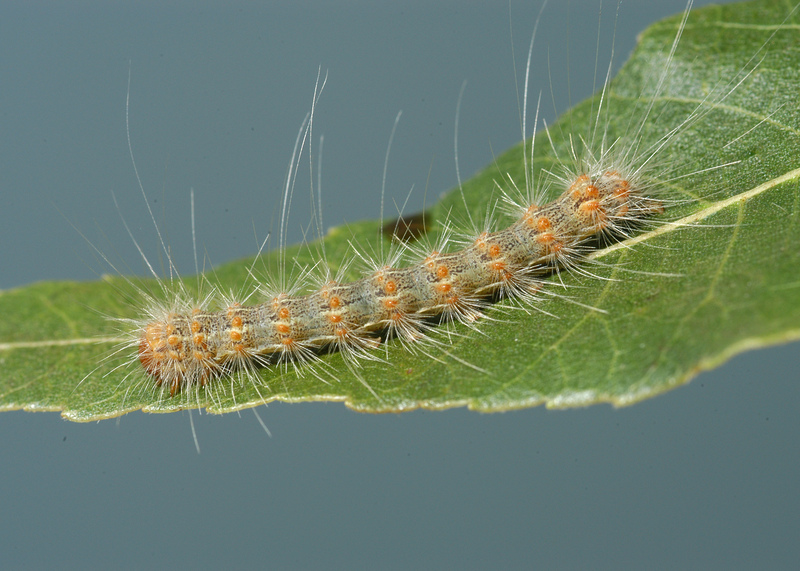 Some of the pests also are appearing in persimmon, sweetgum and other trees. Blake Layton, an entomologist with the Mississippi State University Extension Service, said these insects are common in the state every year, but they are more abundant some years. 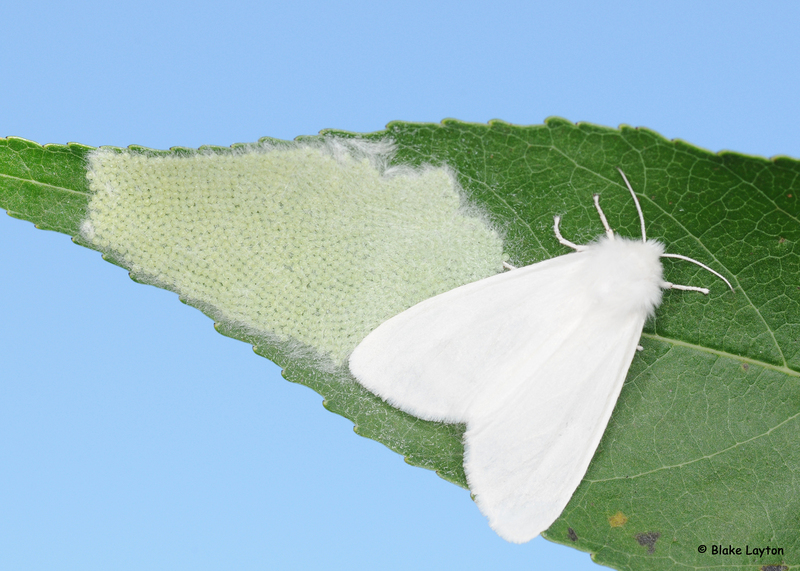 Fall webworm moths are usually pure white, and they lay egg masses on leaves. When the eggs hatch, the caterpillars spin silk to create a web. Large or multiple egg masses can result in very large tents. Populations are cyclic, with periodic outbreaks followed by declines due to increases in predators, parasites and pathogens. They occur through much of North America and into Canada, so a cold winter does not limit their numbers. The caterpillars are an important pest in commercial pecan orchards. In noncommercial settings, the large, white tents in trees are unsightly, but they threaten only small trees if the caterpillars are allowed to consume all the foliage. Layton said it is hard to find treatments that are logistically practical in home situations. “Treatment is most likely to be beneficial on young, heavily infested trees that are just getting established,” he said. 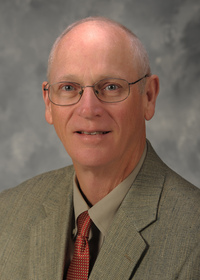 Jason Gordon, Extension forestry professor, is getting many questions about this pest this year, as people are concerned about defoliation of their trees. “While the caterpillar can cause some defoliation, it is usually not enough to kill the tree,” Gordon said. “Trees defoliated for several years in a row can start to decline, but they can tolerate two to three years. Insecticides with the active ingredient spinosad are effective against this pest, but the challenge is reaching all the tents and piercing them so the chemical can work on the caterpillars. Mechanical treatment is more effective. A person can rip a hole in the tents with a clothes hanger or similar device on a long pole, allowing predators to enter the web. Homemade devices can also wrap the tents up and pull them away from the tree. No. 16: Pyrethrum, Pyrethrins, Pyrethroids, Permethrin, What's the Difference?